I’m usually a pattern follower, but if I’m not too fond of a layout, I’ve been known to shift blocks around on a design wall! I like to experiment with layouts. Thanks for the giveaway chance. I have a design wall in my sewing room, and really like to try variations of lay-outs. 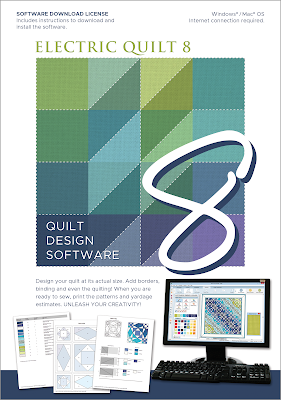 Your quilts turn out well, and make me want to try them. Thanks for the EQ tips! I’m more of a patter follower, but I’d like to start experimenting with different layouts! Sometimes I just wing it and sew, but most of the time I make a few blocks from a pattern and see how things come together. One thing I know for sure is I'd love this book! I usually follow the patterns, but EQ seems like a great way to experiment before committing to fabric. Thanks for a chance to win! Blogger had a glitch so sorry if this is a repeat comment. I definitely play with layout choices. I usually change something about a pattern to customize it to my tastes and to keep my quilt unique. I like to experiment and rarely ever follow a pattern totally. I may start out with the pattern and then experiment along the way. I'm usually a pattern follower but I will change things up to fit my taste and purpose. I generally follow the pattern but if it's not too complex to deviate, I try it out. The software would help with that though! I'm looking forward to adding your new book to my library next to all the rest of your titles and thanks for the chance to win! I love playing around with layouts and often use a pattern as inspiration to get me started. Thanks so much for your wonderful books and for the chance to win such great prizes! I generally follow the layout of the pattern I’m following. But I also love to play with log cabin blocks, their design encourages experimentation! 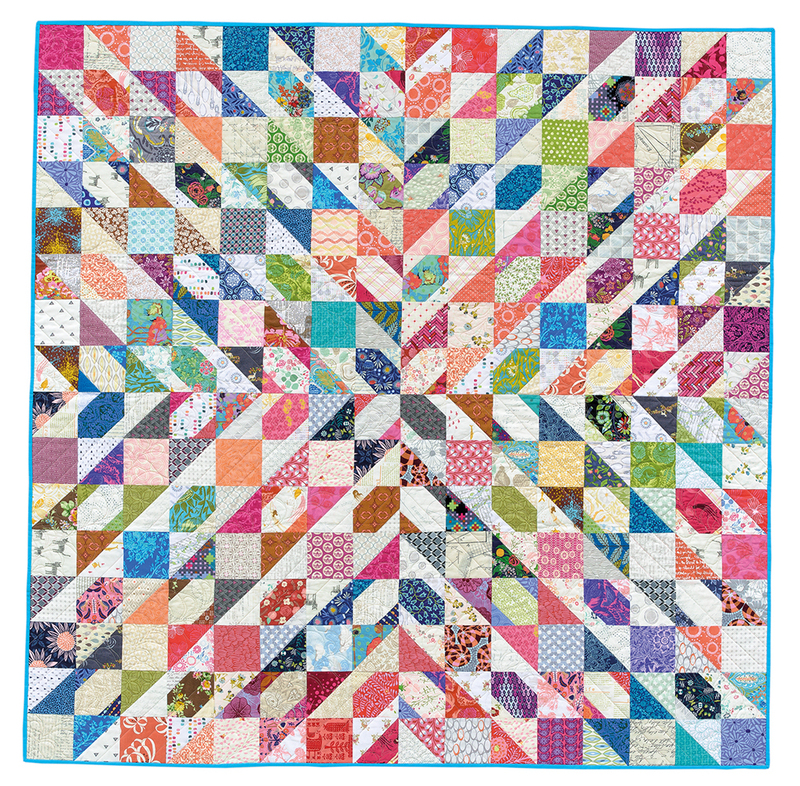 I would LOVE to design my own quilt, or at least have the ability to see what it would look like flipped, with different colors. Sometimes what is in my head doesn't translate too well to the final quilt. I fall in love with quilts but then don't have the "right" fabric in my stash and can't see how it would look with what I have. I am buying more precuts and kits because of this problem. I am also trying to think more about color theory. EQ8 might solve my problem! I usually follow the pattern, since I make quilts because I love the design. But I’ve switched things around a bit, too. 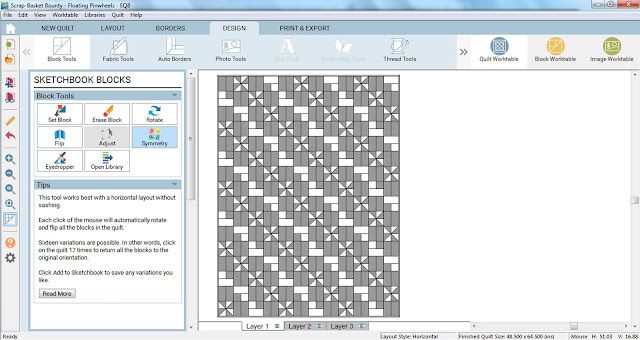 I want to start designing my own patterns, so the software would be perfect. Wow! What a generous giveaway. I love to change designs up as I make them. Usually I start with a pattern, but as it goes up on the design wall changes happen. I'd love to try designing my own patterns with EQ8. Love the Starburst pattern! I do like to change up patterns a bit to make them larger, smaller or perhaps to add elements like applique to make them my own. I like to use the pattern as a guide. 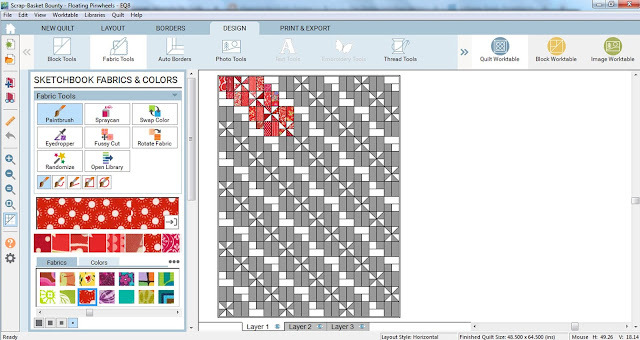 I make changes to suit my idea of what I want the final quilt to look like. Wish I knew how to use EQ. It’kashi an awesome product. Congrats on your new book! 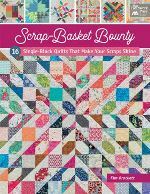 I usually go by the pattern because that's what caught my attention in the first place but will switch it up to make the quilt my own. I always make a quilt my own. 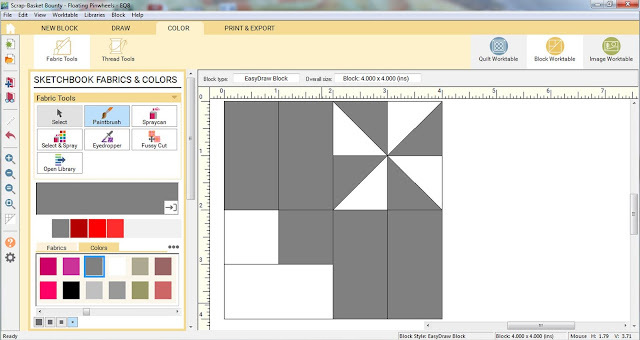 I choose blocks that I think will give me lots of options for both color and layout and then start. I've used several versions of EQ, and I always use it for playing with layouts. 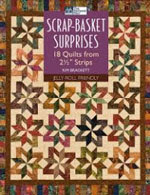 The quilts in this book are awesome, and I'd love to win this book. 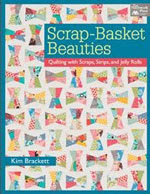 I have all of Kim's books, so I'll be buying this at some point if I don't win a copy. 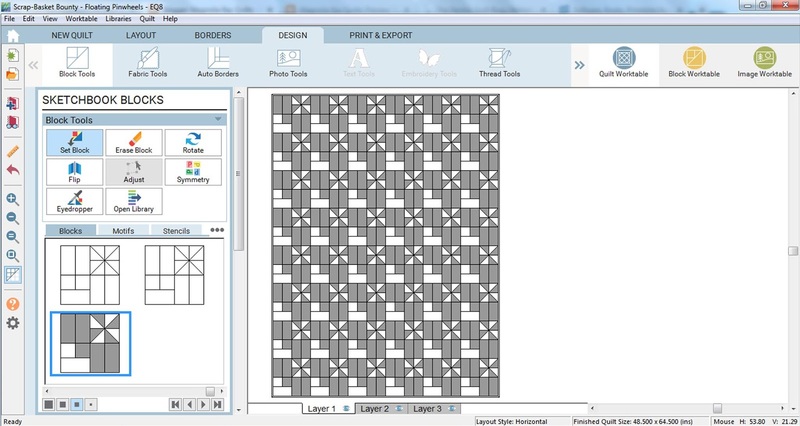 I like to have a pattern for cutting measurements and block sizes and then play with block place to see if another design shows up. thanks again for the chance to win your book. Most of the time I start with a pattern and try to make it my own with some modifications. Lately I've just used photos for inspiration and try to draft out the pattern myself with paper and pencil. Only occasionally do I try to do something entirely my own design, since I don't have an artistic bone in my body. Thanks for offering all these wonderful giveaways this week - every one is special! 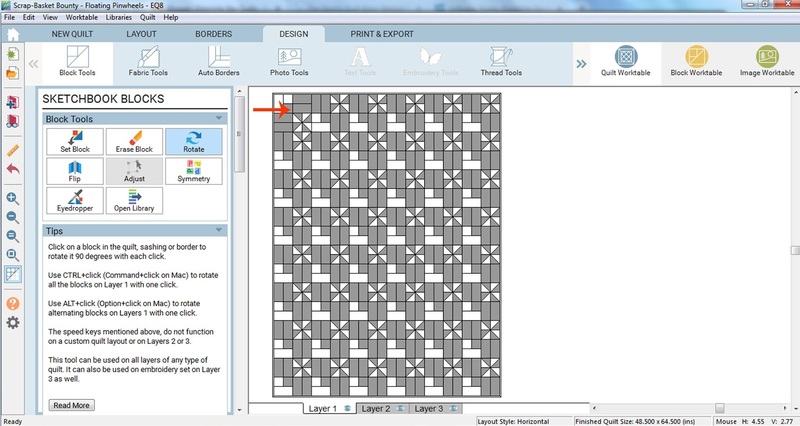 I’ve always been one to simply use the pattern design and instructions, but I am intrigued with the idea of making one block and moving it around to get different looks. That sounds fascinating and looks reaaly neat. I am eager to see your book - I’m sure it’s marvelous! I will definitely tweak a layout, when needed. Love the preview of the new book, Kim! As to layouts, I have changed a few bought often just follow the pattern. I would love to learn how to computer plan them though. I love to experiment. I don't want my quilts looking like everyone else's. I love twisting and turning blocks to see various layouts- the more ideas the better! I have to force myself to leave a pattern alone. Seeing how many variations I could possibly make is half the fun of making a quilt! I really appreciate a book that does some of that exploring for me. 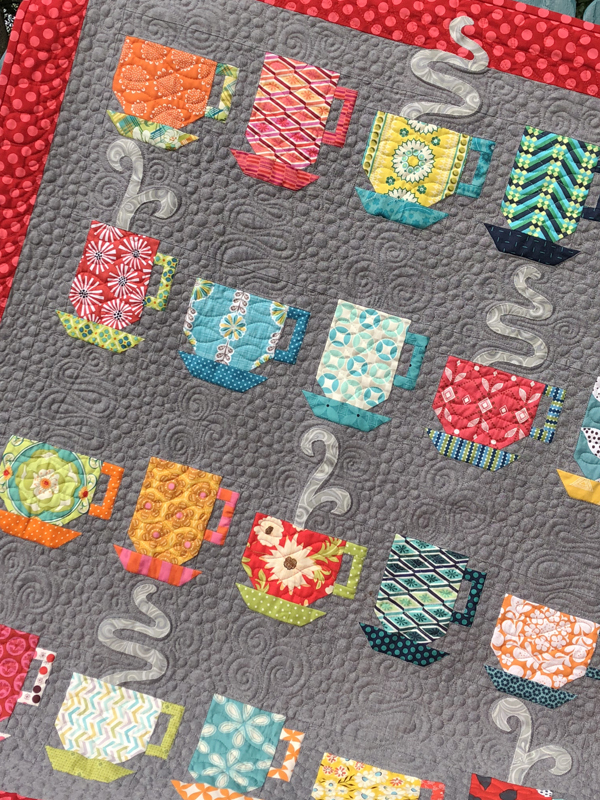 Your book sounds delightful, and the quilts you’ve shown us are all so beautiful. This book is definitely a must-have! Oh my gosh! I’ve been eyeing that software for a while now. I love the design process and love playing with blocks. However, when I’m in a hurry, there’s nothing better than a well written pattern like the ones in all of your books! I always play with the layout. I'm not sure if I've ever made a pattern exactly as it was written, lol! Thanks for the chance to win! 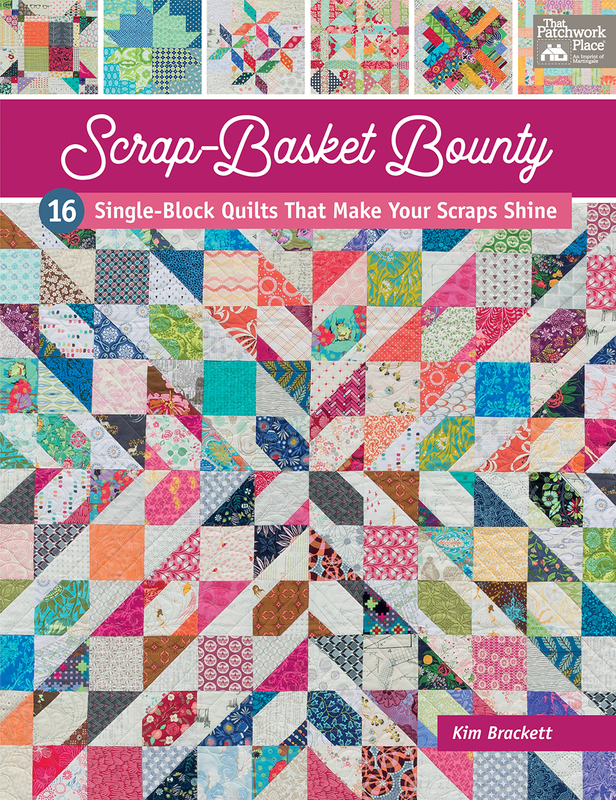 Love,love,love scrap quilts! Can’t wait to make some of these! I usually like to stick with the pattern but sometimes I do play with the layout. Thanks for all the inspiration from sharing your new book. I really enjoyed seeing all the quilts. I love to mess with blocks/patterns and play! I think Starburst may be my new favorite! Thanks for the fun! I like to experiment with patterns and settings, but having said that, I'm always drawn to diagonal settings rather than straight settings. I do both. If I really love the look of a quilt, I will follow the pattern exactly. 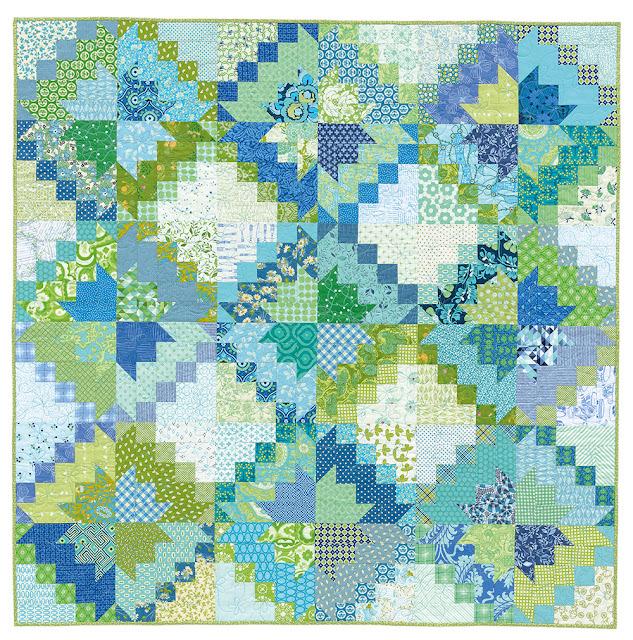 If I am inspired by a quilt, I will play with the layout of the blocks. Thanks! I usually follow the pattern but have been experimenting more with different layouts lately. I do both; follow the pattern, or adjust the layout. I usually follow the pattern, if it is one that I like. However, if I can't get it to work, or I have another idea, I change it up. Thanks for the giveaway. I am trying to experiment a little bit more, I only wish there were more hours in a day! I'm a maverick! I find it difficult to do traditional layouts so experimenting works best for me! Awesome giveaway, thanks! I love to change things up! I love experimenting and finding secondary patterns. I'm a stick to the pattern kind of girl, but perhaps it's time I experiment a little more. Love your new book! I love the aspect of design and often times start a pattern but end up with something totally different. EQ8 is on my wishlist, but in the meantime, my graph paper and colored pencils are getting a workout. I'm usually drawn to the pattern I see the first time around, but like to move the blocks around to see my options and record them with a picture for later use. I used to design very simple quilts in EQ (v.4 I think) and switch things up like you do. Thank you all for the generous giveaways! I rarely follow a pattern as written, always feeling the need to change things up and make it my own in some way. 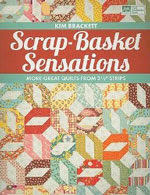 Since you design such beautiful quilts Kim, why would I mess with perfection and change them? I follow your patterns. I make all the block of a pattern but then re-arrange them to get a pleasant color combo. It feels more like "mine" that way too! 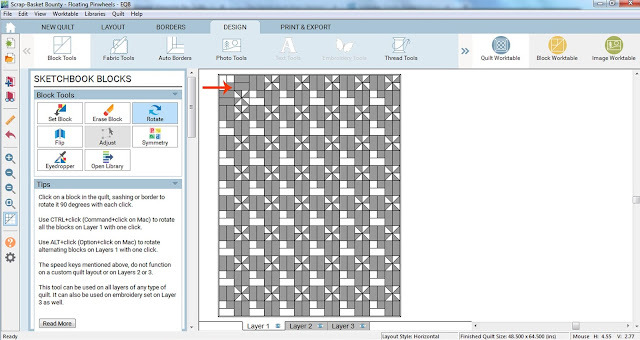 Patterns are like recipes... a great jumping off point to make what really suits you! Hi Kim! I have loved your designs for years and am excited to look through your new book. I tend to be a by-the-book quilter, expressing my individuality with color choice and just slight changes usually to the borders. 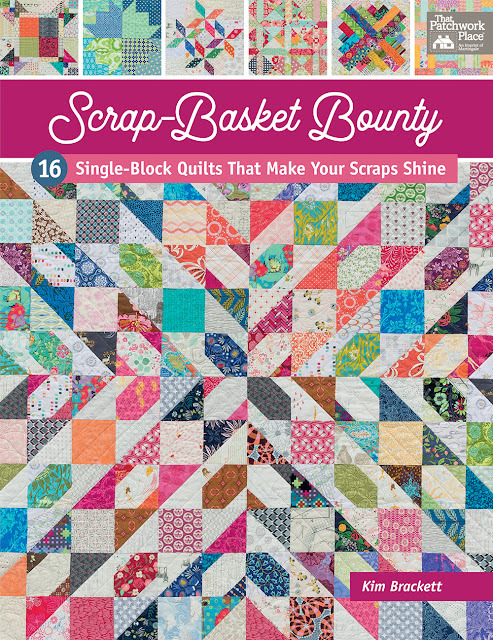 Nothing is more individual than a scrap quilt, though. It's so fun to look at the different scraps and recall when I found that print and which projects it landed in. I use patterns as guidelines. I like the blocks, but may alter the size, the sashings, the colors. Many times I will take ideas from similar quilts and combine to get the look I want. I have quilted for so long, I really like the creative part and love the challenge of making it my own. Would love to try EG8 someday! I've never used any of the EQ software but am interested in trying it! 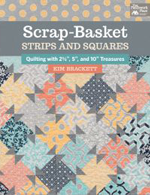 I've enjoyed seeing the quilts from your book! I usually like to play around with blocks on my design wall, even thought I have EQ! I’ve never gotten comfortable enough with it to use it quickly, Thanks for sharing your process and the quilts from your new book! I love my EQ8! And the Symmetry tool is magic! 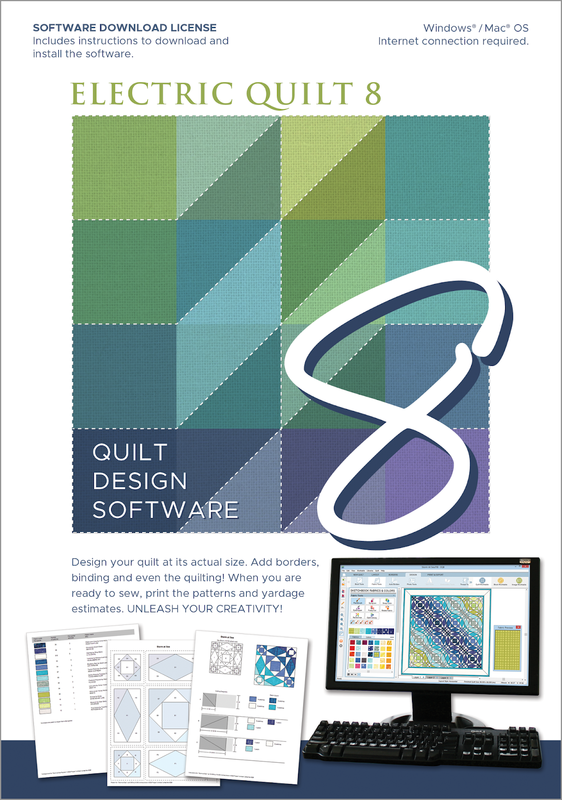 I hope to make one of your quilts soon. I have been a follow the pattern type person, but the last 2 projects I bought supplies for I will be changing the design to something I like better than the pattern. I finally feel confident in my quilting to change the design. I follow a pattern if I am using a pattern. I usually pick them because I like what the author has done. Love your quilts! Just found your website and I am now a follower. Thank you for the give away.